Download the AME Boston app! For Apple devices, click here. Don't have an Apple or Android device? Click here to use the online version! 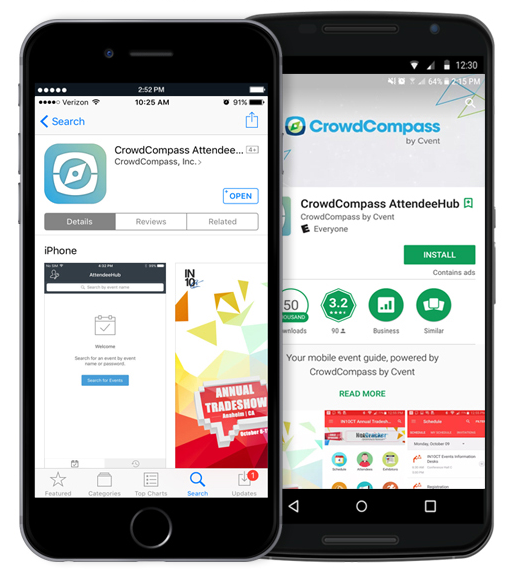 This year, AME is proud to once again partner with CrowdCompass, our conference app provider. Downloading the app is simple, and a great way to enhance your conference experience. 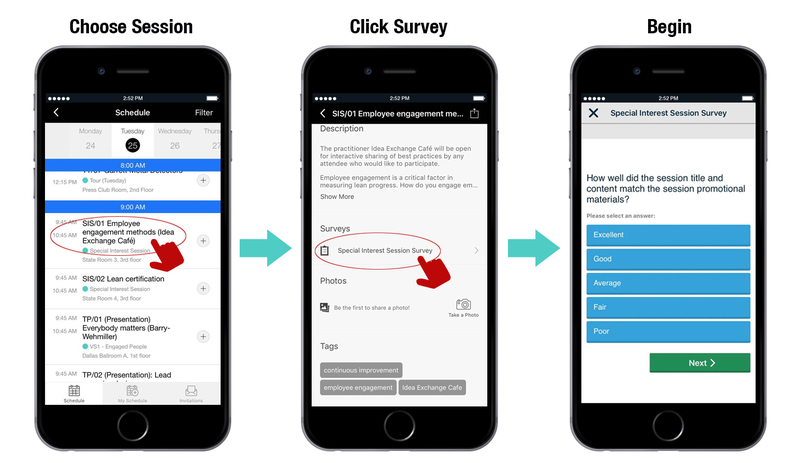 Click the link above, or go to your Google Play Store or Apple App Store and search CrowdCompass AttendeeHub. Open the app and search AME Boston, and then click download. The event will open automatically. To log in, simply enter your first and last name and the email you used to register for the conference. AME will send a verification code to that email. All you have to do is check your inbox and enter the code. View the conference schedule (by day, topic, speaker, etc.) and add the activities you want to attend by selecting the gray ribbon on the right. Please note, adding a session (especially workshops and tours) to your agenda does not register you for the event, it merely adds it to your calendar. To register for the event visit the conference website, ame.org/Boston, or visit the registration area in Boston. View maps of the Hynes Convention Center in Boston. Search for speakers and bookmark the ones you’re most interested in attending. Search a list of attendees at #AMEBoston. Please note: in order to search the list of attendees, you must be logged in. In addition you can send a message and share contact information through the app. View networking events and activities taking place during the conference and in the evenings. Learn the about AME’s social media channels and the conference hashtag #AMEBoston. Search through a list of frequently asked questions (FAQs) listed by topics. Get information about Accelerators at the conference and where groups will meet at the Hynes Convention Center. Search exhibitors by name and category and bookmark those you’re interesting in seeing. Take notes on your device at each session you attend. Give us your feedback about each workshop, presentation and tour you experience throughout the week. This feedback is valuable to conference organizers as they plan future events with a continuous improvement philosophy.